Sometimes you might’ve wondered how our Ready-made Garment (RMG) sector is doing, basically as a conscious citizen you should. Well, the answer is pretty positive, it’s doing fantastic. As an inspector to the Department of Inspection for Factories and Establishments (DIFE) I have been working in this sector under my professional duty line for more than four years and have inspected nearly hundred factories. So, I’ve garnered some very practical knowledge of this sector. If you want to witness the change, you’ve to visit an export oriented factory nearby you. Ladies and gentle man, you have my words, you’re going to be amazed seeing the radically improved work place! Because seeing is believing. The world's best seven factories out of ten are in Bangladesh! Now your curious mind may want to know, how all these radical changes have occurred in this sector in such a limited span of time since Rana Plaza collapsed back in 2013. It’s all been possible for the outstanding efforts made by government. Especially, our honourable Prime Minister Sheikh Hasina's far reaching insights and cordial upkeep have helped uplift the situation. And the contribution of another person must be noted here, she is none other than Begum Monnujan Sufian, the state Minister to the ministry of labour and employment. She’s a pro-labourers leader and has been working for the betterment of the labourers for a long time. Honourable Prime Minister has appointed her to this ministry conspicuously, so that the rights of labourers can’t be violated by any vested interest group. The readymade garment sector in Bangladesh is a multi-billion-dollar industry. With about 4.4 million workers employed in the sector, about 80 per cent of whom are women, the growth of the garment industry has far-flung implications for the economy. The RMG sector alone does export worth $32 billion a year, which is 81 per cent of the total export earnings of our country. Given the dominance of the sector in the overall economy, any sort of vulnerability and threat to this sector should be a matter of concern. So, rather than basking in glory, we should concentrate on retaining sustainable growth and competitive edge. The government of Bangladesh has amended the Labour Law 2006 in July 2013 making it more favourable for ensuring workers' rights, including the right to freedom of association and collective bargaining. In 2017, a new body was formed namely Remediation Coordination Cell (RCC) under DIFE of the Ministry of Labour and Employment (MoLE) with a view to overseeing the progress of remediation-related activities of, initially, factories under the National Initiatives and later other factories including those under Accord and Alliance. The creation of a Remediation Coordination Cell (RCC) is important in order for a public agency to take over charge; at the same time, this set-up is expected to deliver the services maintaining the quality and standards. Accord and Alliance and thereafter, initiation of the work of Remediation Coordination Cell (RCC) under the DIFE of the MoLE, the process of integration has been started. This specialised cell has been working in the transition phase and meeting the requirement. The objective of this Cell initially is to monitor and inspect and review the progress of remediation-related activities of factories earlier inspected under National Initiatives (government initiatives executed by DIFE). The Cell will gradually take over the responsibility of factories under Accord and Alliance-led initiatives and ultimately take charge of inspection-related activities of all industrial enterprises in Bangladesh. Over the last three decades, our apparel industry has achieved a phenomenal growth due to policy support from the government, dynamism of the private sector entrepreneurs and extremely hardworking workers. Now the number of RMG units is more than 3,000 and export earnings have reached $32 billion with more than one hundred countries and around 150 international apparel brands using 'made in Bangladesh' knit garments and woven products. There are several external factors that have been playing an important role in facilitating the growth of the sector. One of these crucial factors is US vs. China trade war and gradual reduction in China's bulk production due to labour shortages and higher wages, which also contribute to a decline in its appeal in the apparel realm. Moreover, China is now interested in manufacturing products that require greater skills, better technology and more investment in advanced equipment. According to a survey conducted by WTO in 2015, 86 per cent of the chief purchasing officers in leading apparel companies in Europe and the US planned to decrease levels of sourcing in China over the next five years because of declining profit margins and capacity constraints, and their next preferred sourcing destination is Bangladesh. They viewed Bangladesh as the next hot spot for sourcing in the RMG market. 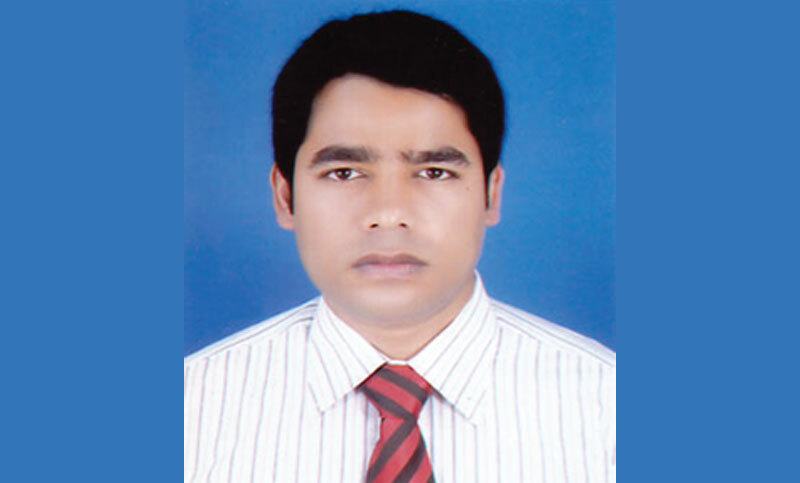 So Bangladesh is expected to gain much from the changed scenario in the global apparel market. Another key prospect for growth of our garment industry lies in the size of the global apparel market, which is gradually growing bigger. According to a recent report, the global apparel market will cross the $2 trillion mark by 2025 from the current value of $1.25 trillion. So there is a great opportunity for us to further penetrate the global apparel market and boost our export earnings. In a bid to explore new export destinations, the Bangladesh government has taken the decision to increase cash incentives for apparel exporters to 4 per cent from 3 per cent to new markets. The move is aimed to encourage apparel manufacturers to encourage exports to new markets, which has been effective from the financial year 2018-19. Non-traditional export market is very crucial for Bangladesh to reduce export dependence on traditional markets. In increasing exports volume, we need to explore more export destinations. Non-traditional or new export markets include China, Russia, Japan, India, South Africa, Australia, Turkey, Brazil, Chile, Mexico, South Korea, Malaysia and New Zealand for the Bangladeshi garment sector. Bangladesh, with the goal of emerging as a middle-income country by 2021, has to achieve its 2021 goal of manufacturing, which represents 90 per cent of exports; it would have to increase its output substantially and secure a 28 per cent share of the GDP up from roughly 20 per cent. This is only possible if RMG production continues to achieve double-digit growth annually. Good news is that it has been achieving double-digit growth since the beginning of the year 2018 for bona fide government policies and support. Bangladesh has become the world’s second largest garment exporter. It has been made possible for a bunch of government trade policies that are incredibly favourable to readymade garment producers. These policies include “duty-free import of inputs, bonded warehousing facilities, back-to-back LC, rapid custom clearance” and many more pragmatic steps which are worth mentioning. The legal requirements for trade union formation are more flexible now. The number of trade unions at the garment factories has increased significantly in recent times. Besides, the government promptly takes steps to investigate any complaint of violation of labour rights. Department of Inspection for Factories and Establishments has recently launched a helpline i.e. 16357 and this number is toll free where any worker can register his/her complaint. In a bid to boost the export earnings from the readymade garment sector, Bangladesh government has cut source tax on export of apparel products to 0.25 per cent from 0.60 per cent from the fiscal year 2018-19. Since the RMG sector contributes over 83 per cent of total export earnings, the government has taken the decision to reduce the rate to help reduce the production cost and to remain competitive in the global markets. On September 13, the Bangladesh government set Tk 8,000 as the minimum monthly wage, for the country’s apparel workers. The new wage structure has become effective from December 1, 2018, and the workers have been receiving from January this year. The RMG industry has the potential to grow more in the coming years. With tangible support from our government, buyers and all other organisations concerned, we can reach the heights. But with dreams in the eyes of millions of Bangladeshis, achieving that feat may not be impossible. The writer is a Labour Inspector, Department of Inspection for Factories and Establishments, Ministry of Labour and Employment, GoB.